Posted by Björn Axéll in Press, SCOM. For all of you that have been waiting for SCOM R2 RTM release – you can now download the trial version from Microsoft. I’m not sure when it will be available for download from the VL site or the Technet/MSDN site but I guess it will be in a couple of days. Posted by Björn Axéll in Press, SCE. Are you using System Center Essentials 2007 (SCE)? Then you probably wonder what will be included in the next version. 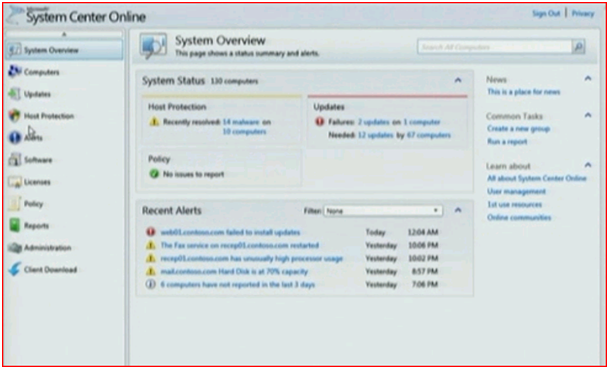 The SCE team has recorded a short video where they discuss and demo System Center Essentials 2010. I will publish more information when it become public available. Have you ever wanted to create your own diagram views? Now you can download the Visio Add-in and add real time data to any Vision object. Posted by Björn Axéll in Press, Windows. Posted by Björn Axéll in Press, SCCM, SCODM. We are pleased to announce that Windows 7 Release Candidate (RC) is available. Windows 7 RC is the prerelease version of Windows 7. Since this is not the final release, your PC will gather and send information to Microsoft engineers to help them check the fixes and changes made based on testing of Windows 7 Beta. Test-drive Windows 7 RC today to see for yourself—and to show your colleagues and customers—how Windows 7 delivers improved management, security, reliability, and performance. Download Windows 7 RCPartners: If you have a subscription to MSDN or TechNet, you can download Windows 7 RC now. Otherwise, you can download Windows 7 RC starting May 5, 2009. Apparently Windows 7 RC is not available yet. As of now (21:30 Swedish time) I’m still seeing the old beta version. Posted by Björn Axéll in Exchange, Press. Today Microsoft released the first public version of Exchange 2010. I out first session we will be showing a lot of tips and tricks from the real world, answers to common questions, and ways to work with the products to get more out of them. 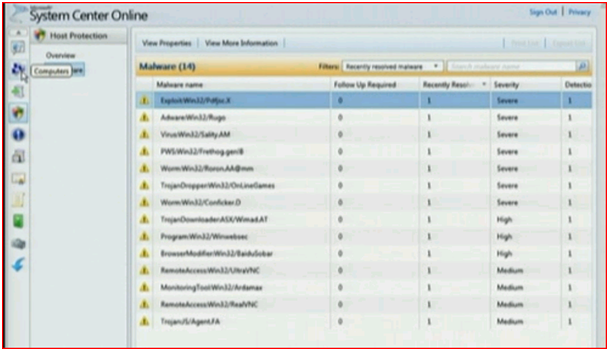 In our second session we will be showing how you can monitor non Microsoft boxes with Operations Manager 2007 R2. The first opportunity for our customers to utilize SP1 will be coming up in early November when the Release Candidate version of SP1 will be made available. This Release Candidate (RC) has undergone extensive testing for quality, stability and performance. We will be making this RC publically available and encourage customers to make use of it for all their environments, except for production environments where pre-release code is not appropriate. · Ultimately to make sure that the final RTM release of the Service Pack is of the highest possible quality. · This will be publicly available release. In early November 2007, a link from our home page on www.microsoft.com/opsmgr will help customers find the SP once it is posted. o While CSS support is fully available, the product team is not pledging to provide Hotfixes on the RC, rather hotfix candidates would be incorporated into the final RTM version. o Support for the RC will end 30 days after the RTM version is released. · This release is fully upgradable to the final RTM version of the Service Pack. · To provide for sufficient time to get feedback on the Release Candidate the final (RTM) release of the Service Pack 1 release is targeted for mid-February 2008. 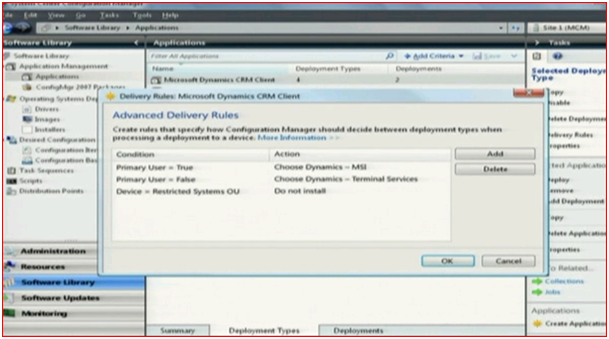 · This version of the Service Pack will be able to be applied to upgrade the originally released RTM version of Operations Manager 2007 and it will also upgrade Operations Manager 2007 running the Release Candidate of SP1. 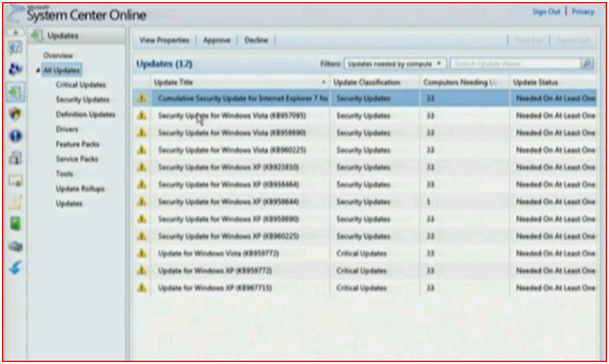 More details on what is fixed and enhanced in SP1 will accompany the Release Candidate version along with instructions on how to upgrade your deployment.